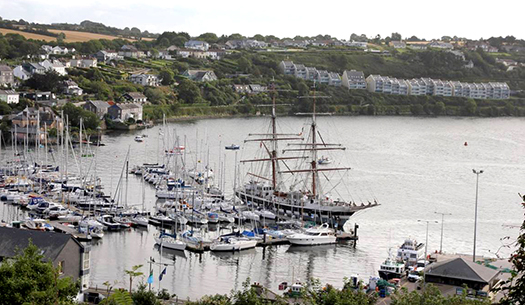 #tallshipkinsale – The tall ship Stavros S.Niarchos visits Kinsale Yacht Club Marina. 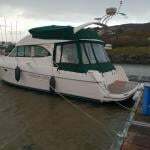 She Departed from La Coruna on August 17 and arrived in Kinsale (non stop) on August 21st. 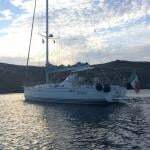 She is owned by the Tall Ships Youth Trust a registered charity founded in 1956 that is dedicated to the personal development of young people through the crewing of ocean going sail training vessels. It is the UK's oldest and largest sail training charity for young people aged 12-25. Over 100,000 trainees have sailed 1.8 million nautical miles on TSYT's fleet – a 60m brig, Stavros S Niarchos, four 22m ocean-going Challenger Yachts, a 19m Catamaran and before them, a 60m brig Prince William and two 37m schooners Malcolm Miller and Sir Winston Churchill. On average, 70% of the young people sailing with TSYT are disadvantaged or disabled.